Coppell High school senior defender Dail Kang cuts the ball back while the Cowboys attack. Coppell lost 3-2 to Marcus. 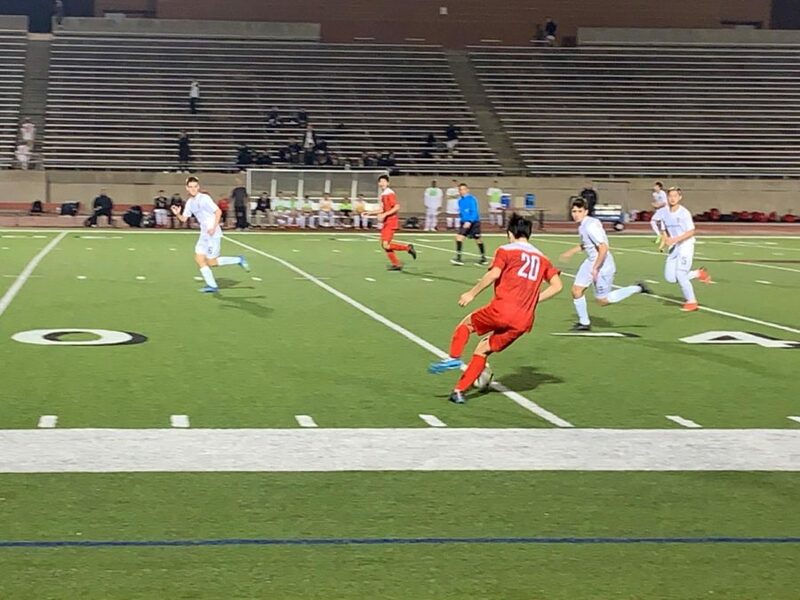 In the cool, windy 55 degrees weather at Buddy Echols Field last night, two long-running rivals, Marcus and the Coppell boys soccer team, met on the pitch for the first time this season. The match proved to be a rollercoaster of a game from the first whistle to the very last, with Marcus ultimately walking off the pitch with a 3-2 win. The match had looked like a certain win for Marcus when the score read 3-0 and the clock signaled only 15 minutes remaining in the match. In most match like this, the losing team accepts defeat and simply focuses on not conceding any more goals. However, the Cowboys did not give in easy, rather, their attacks became more and more energized and exasperated. Coppell’s efforts did finally pay off as CHS junior midfielder Sebastien Blaas scored a header off a corner with only 13 minutes left, giving them the first goal of the match and a shimmer of hope. 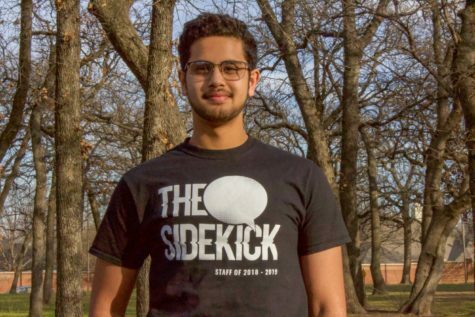 The most exhilarating moments occurred in the dying minutes of the match as Marcus took up a defensive position and Coppell went on a full out attack, with torrents of shots. Blass scored once again the only five minutes left, and suddenly the thought of a comeback did not seem so far-fetched anymore. However, the Cowboys’ attempts at a comeback never converted into a goal, and their hopes to tie the match came up short. The opener goal came early as Marcus scored in the 5th minute, thanks to a point-blank shot by Marcus junior midfielder Tomas Pondeca. The goal was followed by Marcus dominating the next 30 minutes. Though the Cowboys made some substantial plays, attacks were mostly orchestrated by Marcus. The second goal of the match came in the form of a penalty kick against the Cowboys, which was also scored by Pondeca, leaving the score 2-0 in the 32nd minute of the match. Though the first half was not one of the best performances by the Cowboys, the team upped its game with the beginning of the second half. The possession once again shifted back to an even 50-50 and the match became increasingly physical as the Cowboys looked to climb out of two-goal Marcus lead. The second half went nearly 30 minutes with no goals, even though both sides laid frequent attacks and shots on one another. Then in the 20th minute, the referee awarded Marcus with its second penalty of the match, once again taken by Pondeca who successfully converted it into Marcus’ third goal, making the score 3-0 and also earning him a hat-trick. Though the match ended up a loss Cowboys, both sides played well and demonstrated great athleticism. Marcus’ Pondeca, along with a hattrick, played a crucial part in the midfield along with junior midfielder Harvey Castro, setting up attacks and landing multiple shots. On the Cowboys’ side, Blaas demonstrated some great skills with nimble passing and dribbling, along with the two last-minute goals. The Cowboys play at Irving on Tuesday at 7:30 p.m.